football world championship on tv…damn it. 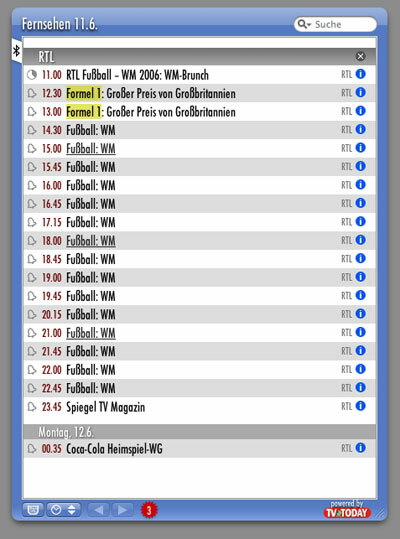 Over 13 hours of sport…damn it. No, it shouldn’t read soccer. The correct british english term is football and not soccer. Soccer is american english, which is no english at all. Ausserdem gaube ich dass man nicht sagt “it should read”, denn das ist eine Aufforderung, dass etwas etwas lesen soll. Dann doch eher “you should say” oder “they say” bitteschön.